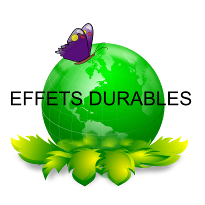 Effets Durables: A dreamer's dream come true ! A dreamer's dream come true ! What started like a bright idea in Michel Denis' mind during this past summer turned out to be a success. Michel is a free lancer with long and successful experience in working for large hi-tech companies. The first MOOC in French on sustainable development "Effets Durables", up and running less than three months after its original plan, attracted more than 250 participants who, during its 6 weeks (October 1-November 15) generated 40,000 actions/activities and allowed participants and "animateurs" alike to work around 12 areas of sustainable development (including Inclusive Development, Agenda 21/CSR and Positive Energy Territories). While the MOOC is still open to the most enthousiastic who want to finish the "mini-projects" that the MOOC has generated and catalyzed, the first feedback is extremely encouraging (key ratings on e.g. effective learning/progress and satisfaction, are all above 70%). The less sustainable part of the MOOC is the 600 hours of time that Michel and others have invested pro bono to make this a success. This is the price to pay for Davids who wants to use the Internet and Moodle-like tools as socially useful learning programs compared with Goliaths using free student labor. But a small team of organizers has come out of this pilot with a strong will to develop and adapt connectivist-based tools for MOOCs in more specialized fields and for a number of new operational applications, all linked to sustainable development and helping experts and field operators work together across the virtual and real universes. Stay tuned for more.